The search continues tonight for a missing U.S. Navy pilot after two FA/18 fighter jets collided Friday in the western Pacific west of Wake Island. The second pilot safely ejected and was recovered suffering only minor injuries. 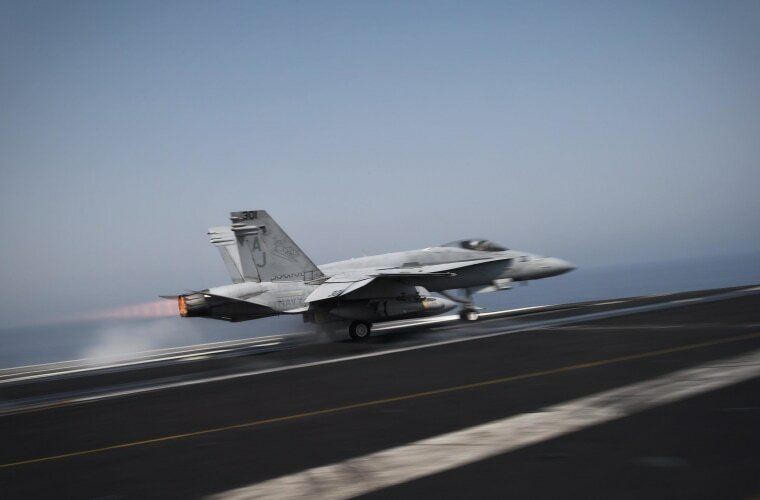 U.S. military officials tell NBC News the two planes were in a "holding pattern" with several other aircraft circling above the aircraft carrier USS Carl Vinson preparing to land when they suddenly collided. No other aircraft were involved in the accident. The identities of the two pilots are being withheld pending notification of next of kin. A Navy investigation is underway to determine the cause of the collision.